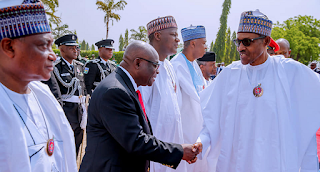 A Senior Advocate of Nigeria (SAN), Chief Robert Clarke, has warned President Muhammadu Buhari against rejecting the resignation of Suspended Chief Justice of Nigeria, Justice Walter Onnoghen. Prior to his resignation, the lawyer to the suspended Chief Justice of Nigeria(CJN), Justice Walter Onnoghen, Adegboyega Awomolo (SAN), disclosed that his client took the decision in the interest of the judiciary. However, Clarke while speaking on the development, on Channels TV on Sunday blamed Onnoghen for his present predicament, adding that a petition by the EFCC should have warranted Onnoghen’s resignation since February.